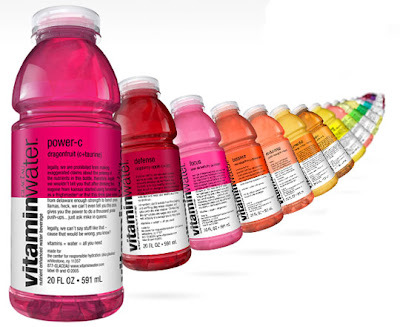 Vitamin Water. I know it's ridiculous. I totally get that. "Brought to you by the center for responsible hydration." Gag me. But it's so compelling! The bright colors, the variety, the snappy little blurbs (I'd love a job writing the snappy blurbs...where do I apply for that? Is that on Craigslist?) Maybe it's a conspiracy. Real water is probably the best choice but I feel dumb paying for it (Evian is just Naive backwards, afterall) so I've been tricked into buying this instead. At least it's not caffeinated. "Jacked Up." As a phrase. There wasn't really a good illustration of "jacked up" that didn't involve monster trucks or British teeth. But this picture of Tilly and the Wall works because it is sort of jacked up. I love Tilly and the Wall and they are all super nice in real life! But their dead on stares here creep me out. And once I noticed the hand it was all I could stare at. Note that I don't use "jacked up" aloud. That would be too ridiculous. 3. Finding chalk on the street. Ah summer! my mom uses the term "jacked up" she's referring to strong or built up... not so much messed up.. but I'm working on her. What happened to your politics?